Prosecutors Release New Evidence In Trayvon Martin Case : The Two-Way The evidence shows officers disagreed on the extent of the injuries to George Zimmerman. George Zimmerman, left, and attorney Don West appear before Circuit Judge Kenneth R. Lester, Jr. during a bond hearing in June. Prosecutors have released new evidence in the case against George Zimmerman, the Florida man charged with the murder of Trayvon Martin. "One of the major points of dispute is who was on top during the fight between Trayvon and Zimmerman. Most witnesses say they don't know, but a new witness – a second one - told prosecution investigators March 27 that Trayvon was on top. "The one on top, she said, was the same one who lay motionless in the grass after the shooting." The Miami Herald reports that the new documents also include reports from FBI agents investigating racial bias in the investigation. "Among the documents is a note from the prosecutor who said one of the witnesses said her son, a minor, had felt pressured by investigators to say the injured man he saw was wearing a red top," the Herald reports. 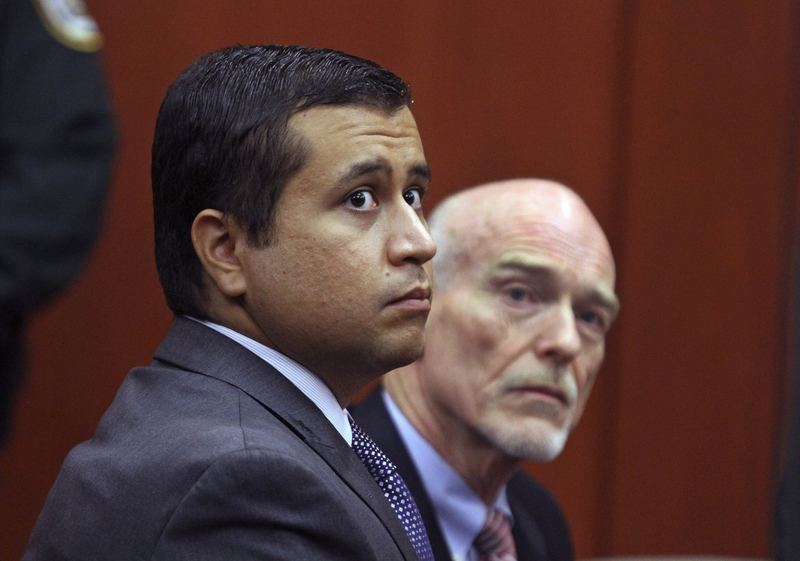 "The boy's testimony had been considered key, because it backed up Zimmerman's allegation that he — wearing red — was being pummeled." In its reading of the documents, the AP reports that officers filed differing reports on the extent of Zimmerman's injuries. "Documents released by prosecutors Thursday show that some officers thought George Zimmerman's nose was broken but others didn't. The officers agreed that Zimmerman had cuts on the back of his head. "The degree of Zimmerman's injuries could be important in his claim of self-defense. Zimmerman is charged with second-degree murder in the shooting." Martin, a 17-year-old African-American, was shot and killed in Sanford, Fla. Zimmerman has claimed he acted in self defense. But Martin's family and supporters allege Zimmerman racially profiled the African-American teenager and followed him despite a police dispatcher's advice not to do that. Zimmerman had called police to report a "suspicious" man in his neighborhood.